Christianity, sisters and brothers, is a faith rooted in love. First and foremost, it is about God’s love for us – the love that was so perfectly embodied in the life, death, and resurrection of Jesus of Nazareth. But it is also about our love for God and for each other. Because God so loved us, we are in turn called to love God and one another just as he has loved us. When I look out toward all of you when I celebrate Holy Eucharist every week, I see a community that strives to love one another just as God has loved us. I, too, as your Priest and Rector, love all of you and I know that you love me. The goodness and love of God is at work here at St. Thomas and it is wonderful to behold. The universal or catholic church, of which St. Thomas Episcopal Church is but a tiny sliver, has been given a sacred task from the lips of Jesus himself. He charges us collectively and as individuals “to make disciples of all nations, baptizing them in the name of the Father and of the Son and of the Holy Spirit, and teaching them to obey everything that (he has) commanded you” (Matthew 28:19-20). In other words, the church is given the task of helping God transform the world by announcing God’s love through the faithful celebration of the sacraments, through our worship, through our teaching, and through our faithful witness to God through our service to the community. This past year, St Thomas has faithfully lived into our mission in a number of different ways. Our continued STAR (St. Thomas Adult Recreation) and Veterans’ Meet and Greet ministries have had an impact on literally hundreds of people. Indeed, the hospitality and love offered by us through these two ministries bears witness to God’s love for us. But more importantly, the work that we do creates the opportunity for life giving relationships to form. If I were to categorize both STAR and Veterans’ Meet and Greet, I would say that they are ministries of healing. Many of those who attend our STAR program, live within institutional settings and the concerts and luncheons we provide helps give them an opportunity to be out in the community among friends. Likewise, our veterans’ ministry provides a space for veterans to share their experiences of military service and find healing through community and relationship. We have also lived into our mission through a renewed commitment to Christian education, including a weekly children’s Sunday school program as well as several weekly opportunities for adult formation such as Monday night Prayer Group, Wednesday night Bible Study, and Rector’s Forum on Sunday morning. Likewise, we have adult education series on the Lord’s Prayer, the Nicene Creed, and study of Archbishop Rowan Williams’ book Being Christian. Following St. Benedict’s example, we have sought to make St Thomas a “school of the Lord’s service” and, I believe, that we are making great strides toward that goal. I hope that 2019 brings about a continuance and growth to these and our many other ministries. St. Thomas is also a growing parish. This past year we have added seven new members through Confirmation and have baptized two new Christians. We have several others who have transferred their membership to St. Thomas or are just beginning to attend services and are considering being received into the Episcopal Church through Confirmation. Likewise, the overall average weekend attendance has grown to 92 from 91 in 2017 and 86 in 2016. The main location of this growth has been at our 10:30 AM Sunday Holy Eucharist with our Saturday evening service remaining unchanged since 2017 and our 8:00 AM Sunday service declining in attendance. This overall growth, I believe, is attributed to the continued spiritual growth of St. Thomas. If we commit ourselves to sharing Christ’s love through everything we do, I believe that our community will continue to grow as a result. If we are faithful to the mission with which Jesus has entrusted us, then he will continue to bless our work. However, if we fail to follow that mission, and choose to focus inwardly on the continuance of St. Thomas as purely an institution, then I believe the institution will fail. A church that is not making and forming disciples is a dying church. And St. Thomas by no means is a dying church thanks to the faithful leadership of this parish. Another hope of the Diocese, our bishop, and myself is that we as a parish participate more broadly in the life of our Diocese and the broader church. As Episcopalians, the basic unit of our polity is the diocese and our bishop is our chief pastor. In a recent communication with the clergy of this diocese, our bishop said, “The church is always able to live more faithfully together than separate or isolated.” I couldn’t agree with that sentiment more. 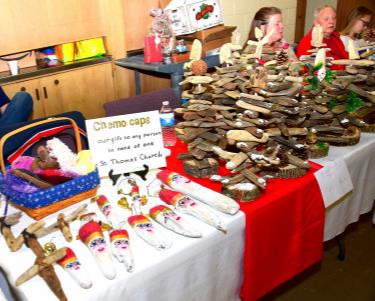 We are not alone as St. Thomas, rather, we are part of a community of 102 parishes across the northern half of Ohio. As we move into 2019, it is my hope that we will send representatives of St. Thomas to more diocesan events than simply Diocesan Convention. Events such as the Winter Convocation, which is held yearly are wonderful opportunities to deepen our faith and to get to know Episcopalians from across the state. I would encourage you to consider attending such events. We also have tremendous diocesan events for youth such as Happening and our summer camp at Bellwether Farms. St. Thomas is a vibrant parish in the midst of a vibrant diocese of the Episcopal Church and we are indeed very much blessed. As we move into 2019, my hope is that we will continue to grow in love and in our ability to share the love of Christ with the world around us. That is our mission and the mission that Jesus himself gave to us. As disciples of the crucified and risen Christ, let’s keep growing together. On November 17 the St. Thomas ECW participated in the Mission and Meal Event at the Berea UMC. 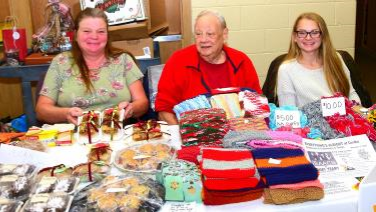 Many thanks to all those who made this event such a success; from those that came in on weekday mornings to make such creative craft items, those that baked delicious goodies, those who helped take the craft and bakery items to the UMC and set-up the tables and to those who stayed at the tables during the craft fair and helped clean up. All that you did to help was greatly appreciated. 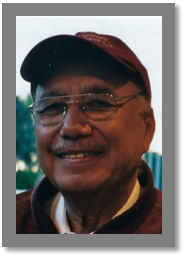 It is with extreme sadness that we announce the passing of Padre José Ramiro Chávez, a great leader in the Episcopal Diocese of El Salvador. To those of us who have travelled to El Salvador he was the priest who met us at the airport, the English-speaking guide during our stay, and much more. He had been vice-president of the Banco Salvadorena. When he retired, he became an Anglican priest, and with his experience in business, he was a great asset to the Diocese, serving as Treasurer for a number of years. He was very involved with the schools, and whenever he visited a school the children all surrounded him, and called out to him. He will be deeply missed. He is pictured here informally, as those of us who travelled to El Salvador remember him. Articles for the April/May issue of the Wayfarer are due by March 20, 2019. Please forward articles to the church by e-mail. Photos are always welcome!!! 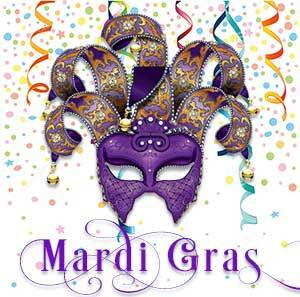 Please submit your photos of St. Thomas events to the above e-mail address for publication. Thank you in advance for promptly sending your articles and observing the submission due date. 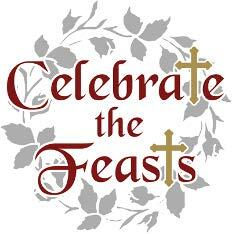 We will observe the major feast days found in the Book of Common Prayer with at least a simple said Holy Eucharist at 6:00 PM on the day of the feast, unless the Feast day falls on Saturday. When a Feast day falls on a Saturday, we will use the readings for that Feast day during the 5:30 pm Contemporary Eucharist. I hope you will join in marking these Holy days with us as they are a wonderful opportunity to grow together in holiness. Readers, Chalice Bearers and Ushers are all needed for the Ash Wednesday, Maundy Thursday, Good Friday, Holy Saturday, and 7 am Easter Day services. Readers and Cross bearers are also needed for the Stations of the Cross. Please look at the sign-up sheets on the office window to see where you can help. On Wednesday evenings during Lent, Fr. 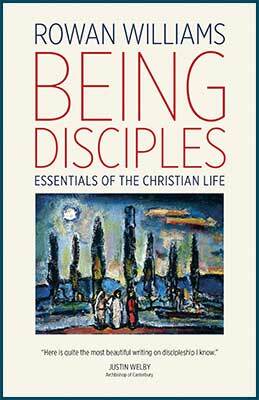 Radzik will be leading a study of Archbishop Rowan Williams’ book, ‘Being Disciples’. This lovely little book (87 pages) is a meditation on what it means to be a Christian disciple and is a follow-up to his ‘Being Christian’ which we studied this past Advent. We will conclude each evening with a candlelit service of Compline. Books are available through Amazon.com ISBN-10: 0802874320 or through the church office for $10.00. Please see Fr. Radzik if you have difficulty acquiring a copy. We want everyone to have the ability to participate! A sign-up sheet is posted on the office window. We hope you will join us on this Lenten journey! Bags containing chalk, the prayers and the history were distributed to parish members, who were then asked to share their photo on our Facebook page. Thank you to everyone who submitted photos. In December, Fr. 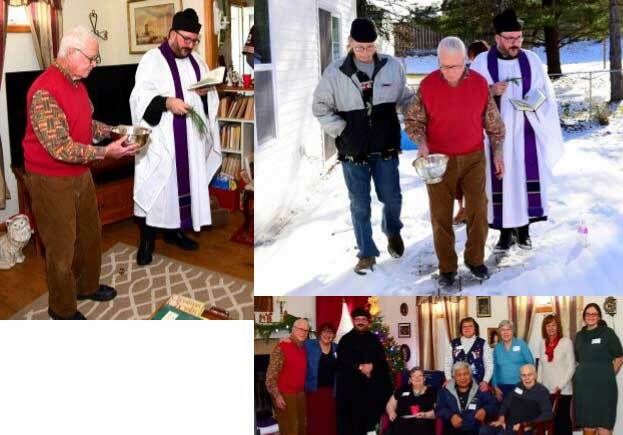 Dave visited the home of new parish members John & Kathy Heaney to bless their new home. Below are a few pictures from this happy event. If you are interested in having a home blessing, please contact Fr. Dave for more information. 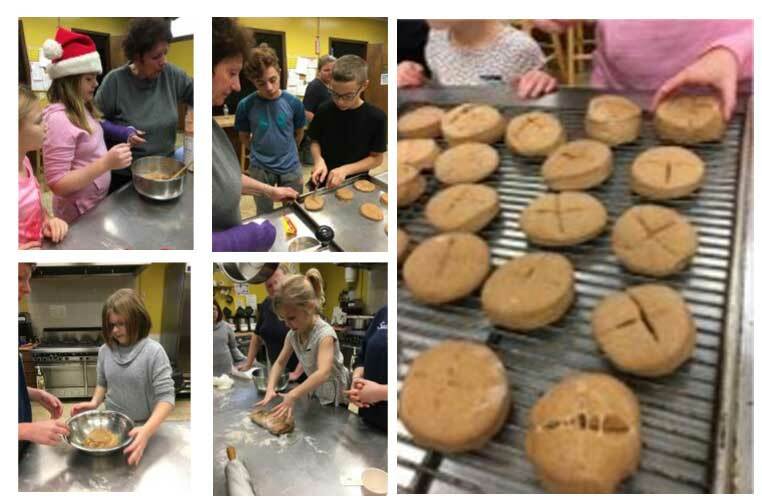 Many thanks to all who participated in our youth bread baking class! It was a great opportunity to get our St. Thomas youth involved in an activity they can do at home with their parents and feel they are more a part of our worship service. If you would like to be a part of the St. Thomas break baking guild. Please speak with Peggy Zambounis or contact the church office. An especially big thank you to Nancy Braford for teaching the class, even with her right hand in a cast! Mark your calendar for the next Devonshire Victorian Tea on Saturday, February 23, 2019. 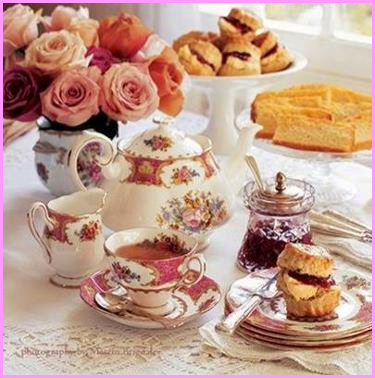 Yes, the tea time will be here before we know it! We are having only one seating again at 12:00 pm. This means more tables to be set & served. While this is a fundraiser for the ECW, it is an all-church effort: We invite help from all men, women and children. It is only through your efforts and generosity in helping with the tea and other ECW fundraising efforts, that the ECW has had the means to disburse funds to so many wonderful and worthy organizations, not just in the Ohio-area, but around the world. You have assisted schools in El Salvador, replenished the food pantry for needy folks in Kentucky, supplied filled duffle bags for the impoverished and homeless in the Cleveland area and many other ministries. Let’s keep the generosity in motion! Please consider volunteering in some way. Talk to Rosalie Ferline or Dolly Doyle for more information on where you can most help. 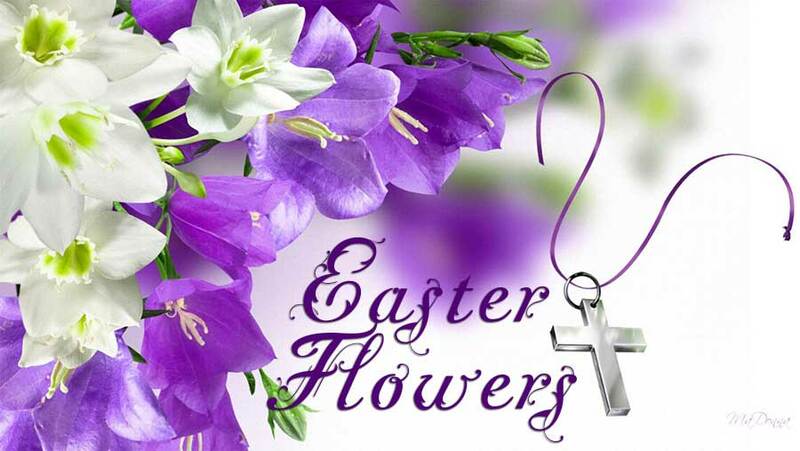 We are now taking orders for the Easter flowers that will enhance our church during the Easter season. It is a perfect time to remember parents and family members or to honor special people in your life with your donation. Forms are on the literature table in the entrance hall. The cost is $25 and payment is due with order. The deadline for placing your order is April 14. Please contact the church office if you have any questions. 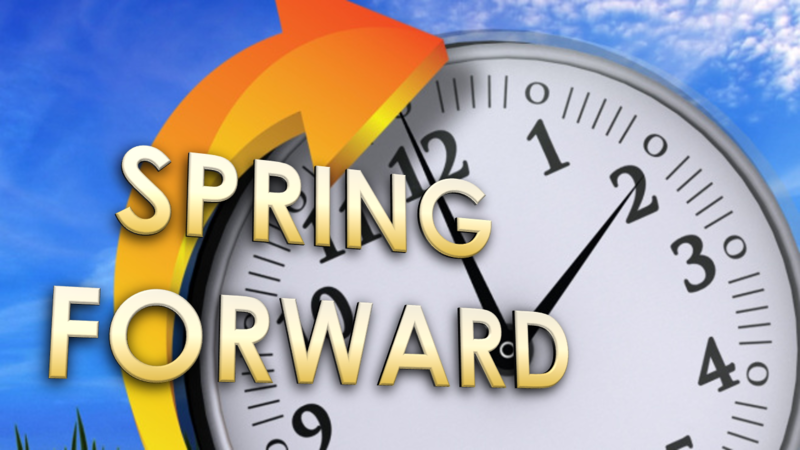 Daylight-Savings Time begins at 2:00 am on Sunday, March 10, 2019. Don’t forget to turn your clocks ahead 1 hour. It’s also time to check your fire extinguishers, and replace the batteries in your smoke detectors and carbon monoxide detectors. Stay safe! 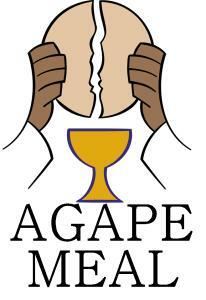 Our Agape Meal will take place on Maundy Thursday, April 18, at 6:30 pm. Thank you to Anita Cooper for heading up the meal. Please contact her if you would like to help with the meal. If you plan on attending, please add your name to the sign-up sheet on the office window, when it is posted. Donation envelopes will also be available on the office window to help defray the cost of the meal. Donations can be placed in the offering plate or left on the Parish Administrator’s desk. Theresa May’s Annual Trumpet Recital will take place at 2:00 pm on Saturday, March 2nd here at St. Thomas. The recital will be comprised of students from Academy Music, Shaker Heights Schools, Olmsted Falls Middle School and Olmsted Falls High School. All students are accompanied by Megan Denman on piano. The hour-long recital will begin promptly at 2:00 pm with a small reception to follow. Admission is free! St. Thomas has signed up for the Amazon Smile program. When shopping on Amazon, log onto smile.amazon.com and chose St. Thomas Episcopal Church of Berea as the charity you would like to support (or type in our custom charity link below). We earn .05% on all eligible purchases. You can also purchase Amazon gift cards through our Shop with Scrip program, load them onto your Amazon account, and help St. Thomas earn in 2 different ways! Were you aware that St. Thomas has a gift card program? Did you know that the church earns a percentage from each gift card you purchase? Our program only works with your support! With over 300 popular retailers to choose from including shopping, dining, travel and on-line purchases, there is something for everyone! 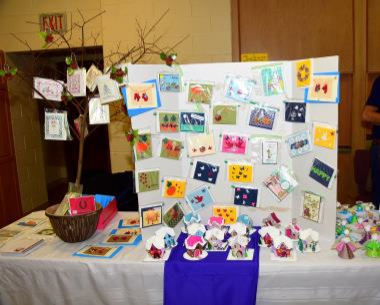 Cards are available after most worship services or call the office at 440-234-5241 to place an order or to stop by and choose from cards we have on-hand. A full retailer list is also available, just call or e-mail the church office for a copy. You can also purchase, reload and manage your gift cards by setting up a personal account on the Shop with Scrip website at www.shopwithscrip.com. Through Abraham and Sarah, you called us into covenant with you. You delivered us from slavery, sustained us in the wilderness, and raised up prophets to renew your promise of salvation. Then, in the fullness of time, you sent your eternal Word, made mortal flesh in Jesus. Born into the human family, and dwelling among us, he revealed your glory. 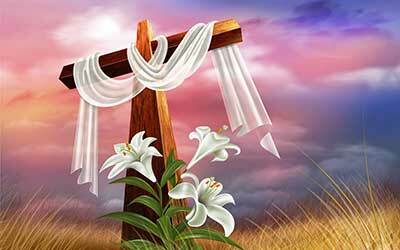 Giving himself freely to death on the cross, he triumphed over evil, opening the way of freedom and life. Live without fear: your Creator has made you holy, has always protected you, and loves you as a mother. Go in peace to follow the good road and may God’s blessing be with you always. Amen. As you can see, these prayers are firmly rooted within our tradition but attempt to include a more diverse and inclusive vision our faith. While I would consider myself a conservative on matters of worship and liturgy, I think our utilizing these liturgies as our bishop and national church are suggesting, is a valuable experience for our parish and is an opportunity for us to discuss what faithful and meaningful worship looks like. This Lent, note that we will be using a Prayer of Confession, the Contemporary Nicene Creed, Eucharistic Prayer I, and Post-Communion Prayer from Enriching Our Worship at both our 5:30 PM Saturday night and our 10:30 AM Eucharist. Our 8:00 AM service will continue to utilize Rite I. We welcome feedback about these changes and plan on compiling a document to share our experience of using these texts with the Diocese. Another change, beginning with Lent is that all of our services will begin with a brief “Formation Moment” in which I, or another liturgical minister, will briefly discuss some aspect of our service. My goal in this, is to help us better engage in praying the liturgy. When we truly pray the liturgy together, we begin to pray with mind of Christ, and are more open to being formed by our worship. St. Prosper of Aquitaine wrote in the 8th century, “Lex orandi, lex credendi. (The law of praying is the law of believing). That is, the better we understand what we’re praying, the better we understand what we believe as Christians. Finally, we are providing an opportunity for individuals or families to write a prayer that will be used in worship at the conclusion of the Prayers of the People. Details about this will be provided elsewhere in this issue of the Wayfarer as well as via-email and in upcoming bulletins. A prayer book compiling each of these prayers, as well as Sunday readings, will be provided at the beginning of Lent to aid you in your devotions. Please consider contributing to this project. I believe it is a wonderful opportunity for us to creatively engage in liturgy. * The service proper to Holy Saturday is a simple said Liturgy of the Word, without music or Holy Communion that commemorates Christ’s descent among the dead between Good Friday and Easter. It reminds us that through Jesus, God entered into the fullness of human life including the experience of death. Holy Saturday is a quiet preparation for the celebration of Easter and gives us space between the solemnity of Good Friday and the joy of Easter to contemplate the meaning of Chrit’s death, burial and descent among the dead. Christianity, brothers and sisters, is an Incarnational faith. We believe that God, who is transcendent, truly became human in the person of Jesus of Nazareth. In other words, the Creator of all things, took on the nature of that which he created. By Jesus’ becoming human, God draws all things to himself, and makes the world, and all that is in it, holy. And because of that fact, we are called to care for the things of the world, even the seemingly small things, with attention, love, devotion. St. Therese of Lisieux, who is among my favorite figures from recent Christian history, called this way of looking at the world “the little way.” As a young novice in a Carmelite community in France, Therese learnt that she honored and gave praise to God through her diligence in the little, and unavoidable tasks of life such as cleaning, cooking, and taking care of the physical building of her community’s church and living spaces. St. Therese learnt that attentiveness and diligence in these areas were a practical part of living a holy life. Minding the little things are important because those little things are part of the world that God created, loves, and redeemed. God, you see, cares about the “details” and so ought we. There are many people here at St. Thomas who understand that attention to the “details” is an important aspect of a faithful Christian life, however, I feel that this is an area which all of, including myself, can see growth. This past Annual Meeting, there was much talk about our recent problem with mice in the kitchen. While, understandably, much time was discussed about how to rid our campus of these rodents, I think the main issue is directly related to our care of the building with which God has entrusted us. We need to be more mindful of how we keep the kitchen, including properly cleaning dishes and storing food. When I assisted in cleaning the kitchen last month, prior to our Medieval Feast, cookies and candy leftover from Halloween (and perhaps earlier) were left to rot on the shelves and cupboards. These, naturally, were an attractive target for mice and other pests. Likewise, long expired food was left to gather mold in the refrigerator. As we move forward, food that is not properly stored in Tupperware containers or that is clearly expired will be thrown away as soon as it is noticed by church staff. I ask all of us, however, to be preemptive and not leave food out on the counters or cupboards if they are not properly stored. All of us need to work together in caring for our beautiful kitchen facilities. Likewise, we have had an ongoing problem with various doors being left unlocked after parish events. Such an oversight happens very easily. I, myself, have accidentally left a door unlocked. However, we need to be more mindful of locking down our facility at the conclusion of parish events. Those of you who are privileged with having keys to the church are also responsible for making sure the doors are locked. If you are unsure that they are locked, check. Likewise, if you find yourself as the last person at an event and you do not have keys, call someone you know does. This past Annual Meeting, I was disappointed to find out that no one, save one family, had volunteered to set-up or clean-up for this event. Luckily, several faithful parishioners stepped up at the last minute to help with the set-up and clean-up. However, this is not acceptable. These are extraordinarily important aspects to any event. And, while no means glamourous, this type of work can also be a lot of fun if done with the right attitude. I hope in the future that more folks will step up and help in doing this sort of work. The life of our parish church depends upon it. God loves us and he loves this parish church, and he calls us love to love it too. When we offer our attention, our diligence, and our work to God, he will bless us and opens up a path to holiness to us. Our work, sisters and brothers, is important as prayer we might offer and in a real way, is a kind of prayer itself. My prayer is that all of us, whoever we might be, recommit ourselves to caring for a parish church. 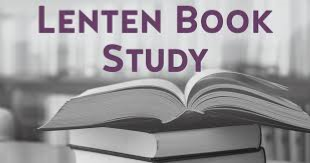 As part of our Lenten experience, we are asking members of the parish to consider writing the prayer or “collect” that is read at the closing of the Prayers of the People. It does not need to be long, a maximum of 50 words. A booklet will be created from the prayers submitted, along with the Sunday readings, to be used as a Lenten devotional for the parish. A sign-up sheet is posted on the office window. A tutorial video by Episcopal priest the Rev. Matthew Moretz,collect can be viewed here. The video breaks down the different parts of the collect, to help you in creating one yourself. Fr. Dave is also available for guidance! Almighty God, the fountain of all wisdom: Enlighten by your Holy Spirit those who teach and those who learn, that, rejoicing in the knowledge of your truth, they may worship you and serve you from generation to generation; through Jesus Christ our Lord, who lives and reigns with you and the Holy Spirit, one God, for ever and ever. Amen. We hope you will consider participating in this Lenten journey! Our annual Easter egg hunt will once again take place after the 10:30 am service on Easter Sunday, April 21. All children of the parish are invited to attend this fun event. Many thanks to Michelle Lawson-Brown for heading up our hunt again! We have plenty of empty eggs to fill, so we are asking parish members to please consider donating a bag of candy, individually wrapped packages or pieces please, nothing loose. A donation tub will be set out in the hallway the beginning of April. Thank you for your help! There will be two seating times only! and other great items as well, so come early and browse! a variety of music and charity endeavors.